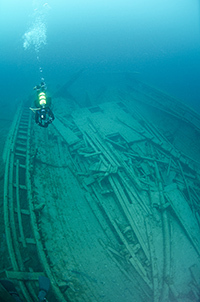 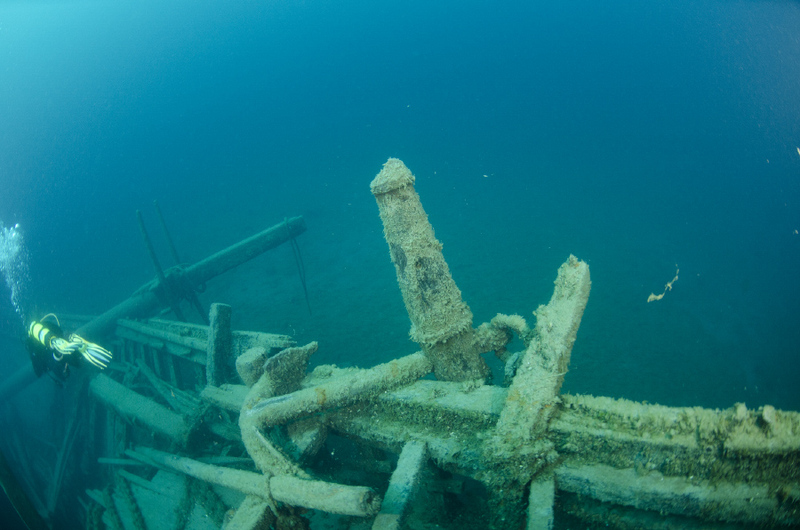 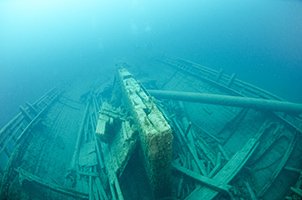 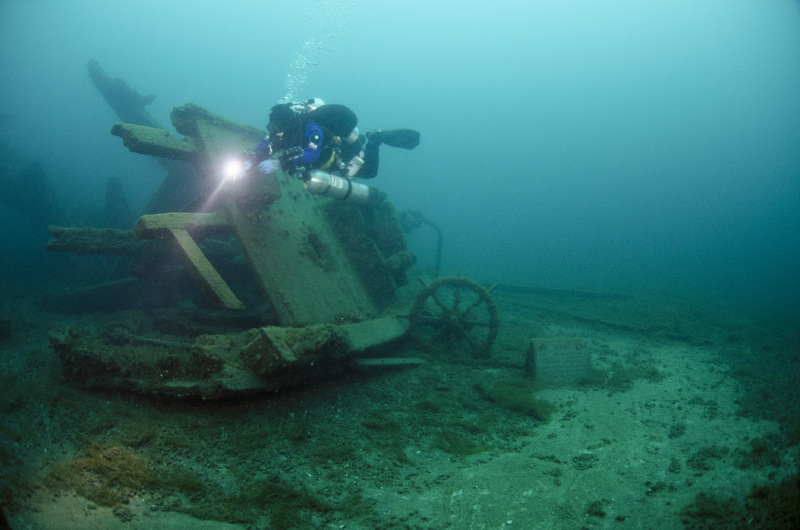 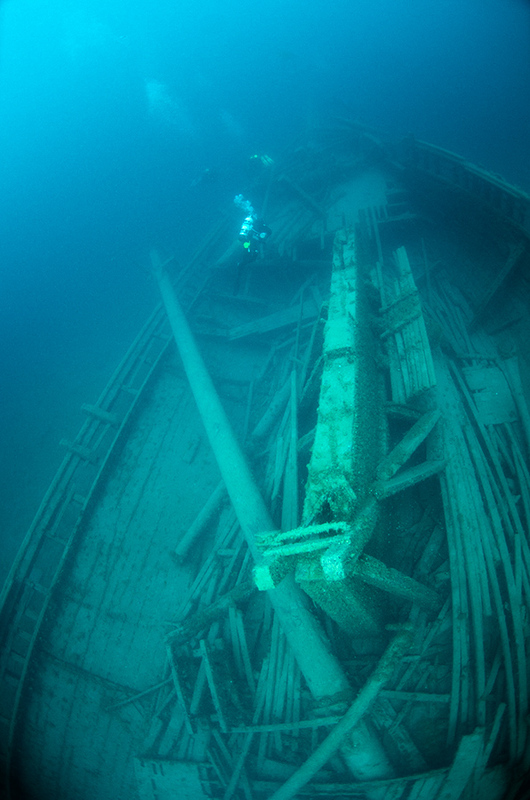 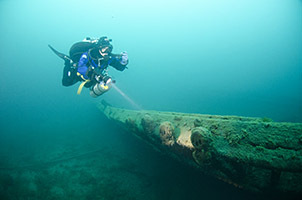 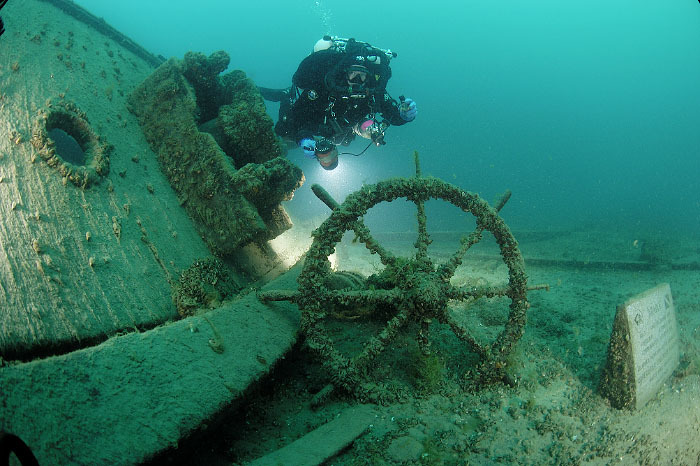 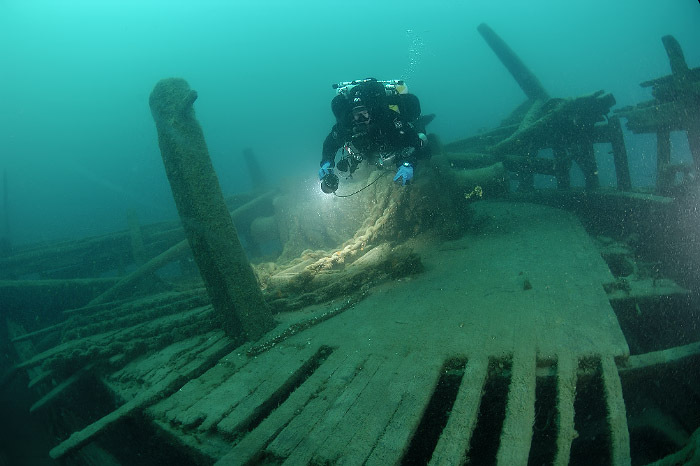 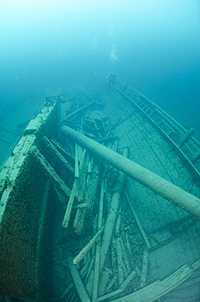 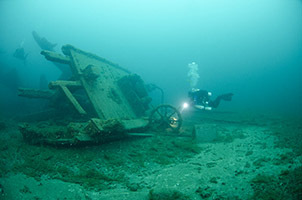 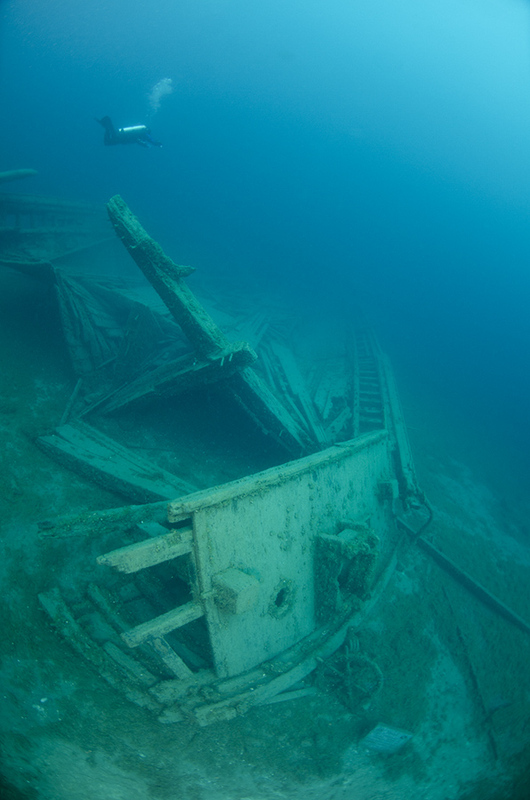 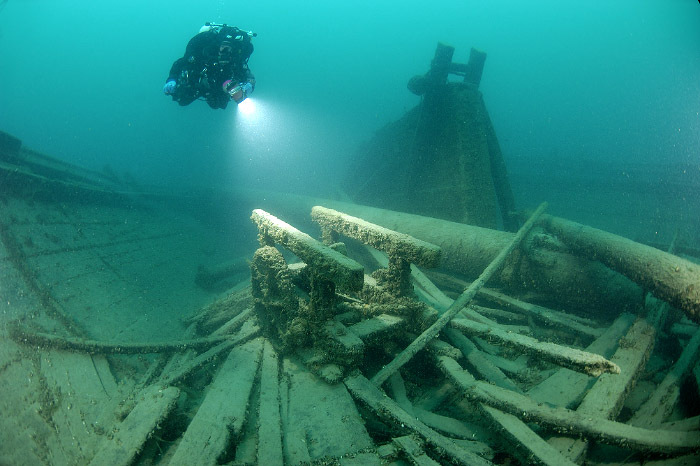 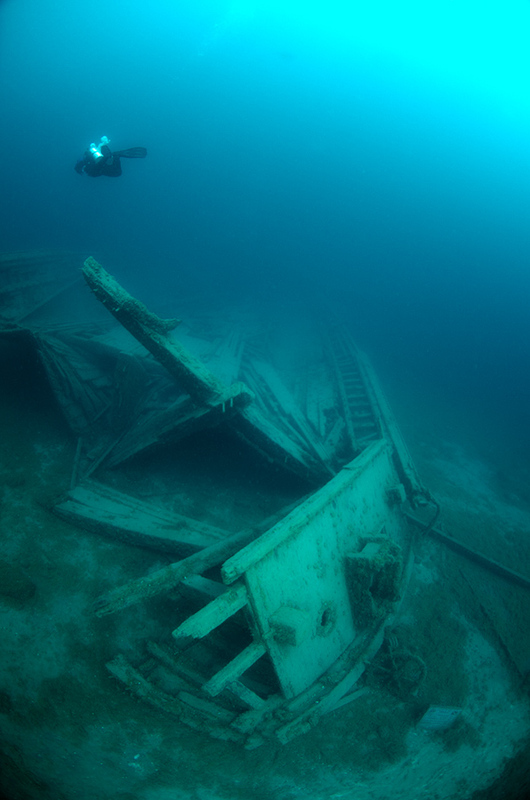 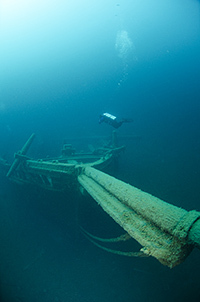 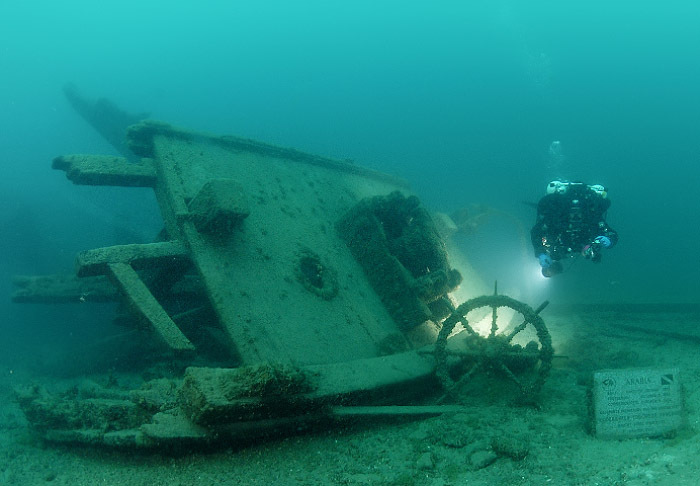 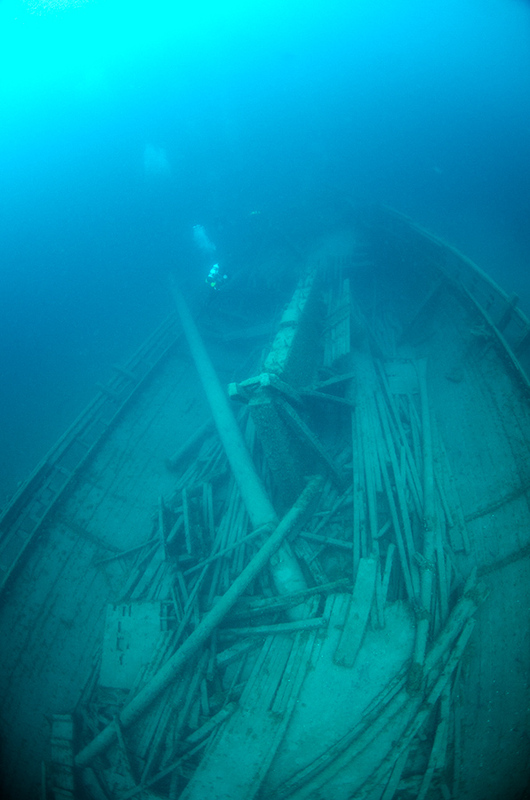 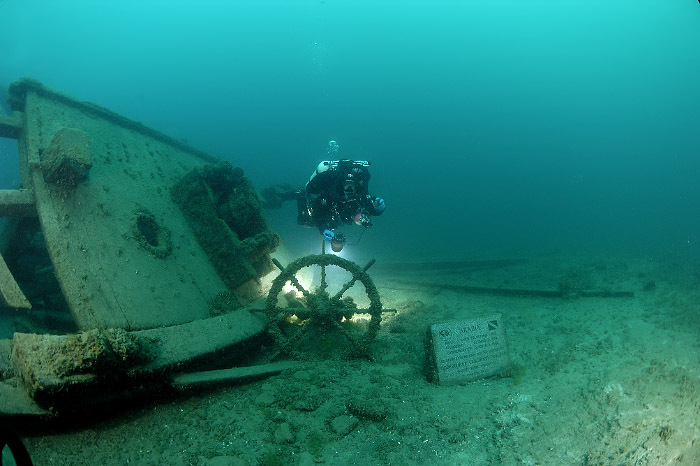 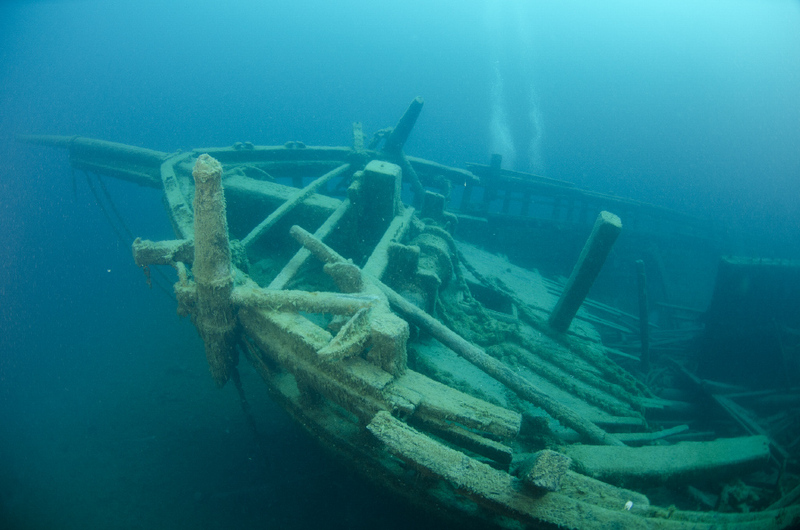 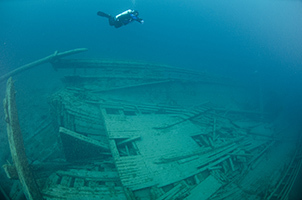 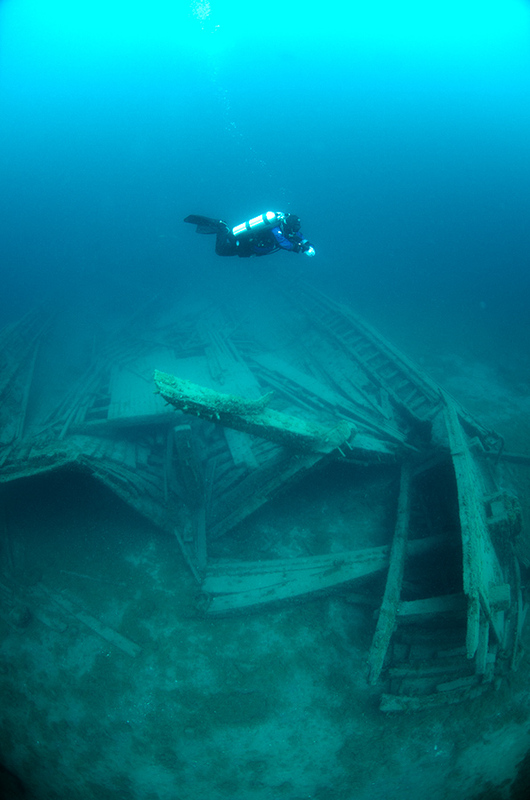 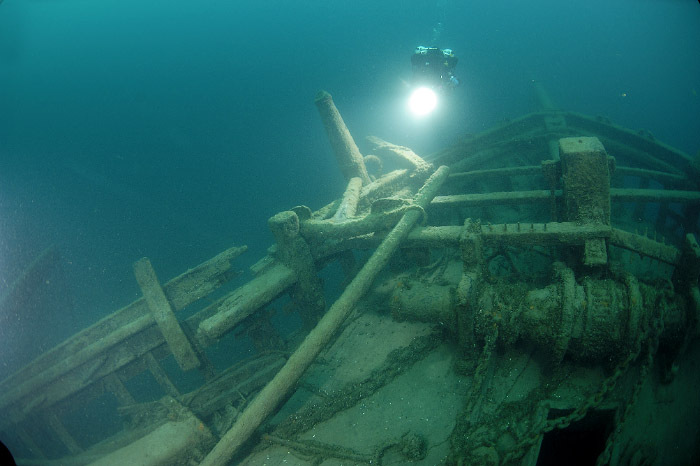 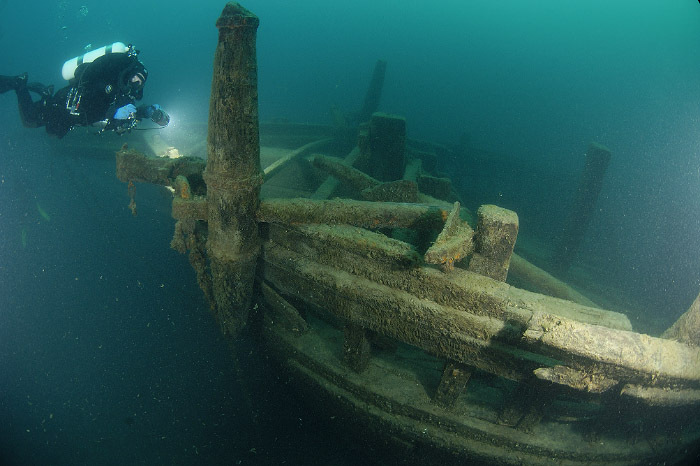 Some people consider the 130 long Arabia to be the best schooner wreck in Ontario. 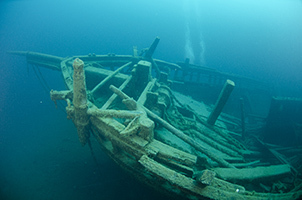 She certainly has a lot to offer, but I would not call her the best. 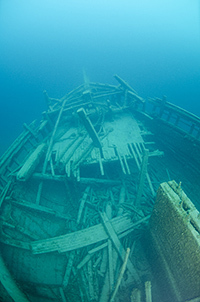 Kathy Eccles and Marsh in Lake Ontario are both very interesting and intact schooners. 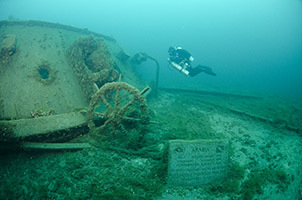 Arabia does have one huge advantage over the Lake Ontario wrecks - she does not have as much zebra mussels. 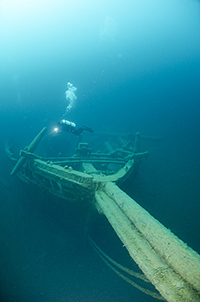 There is something special about being able to see the bare wood on the 100 year-old wreck. 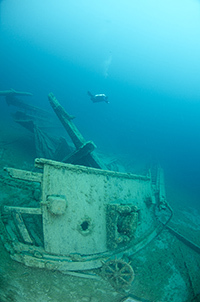 The mussles did make an appearance a few years ago and are clowly starting to cover the Tobermory wrecks as well. 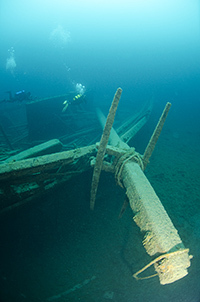 Highlights: Include the bowsprit with chains and deadeyes; two anchors still lashed to the bow; giant winch; the wheel (it is off the starboard side); masts (laying on her deck) and on the bottom near port side. 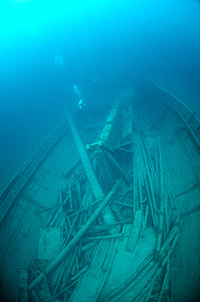 Massive center board rises in the middle of the wreck. 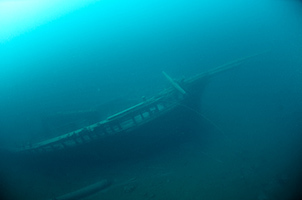 Hazards: depth (100+ ft); perpetually cold water; strong current at times and occasionally poor vis. 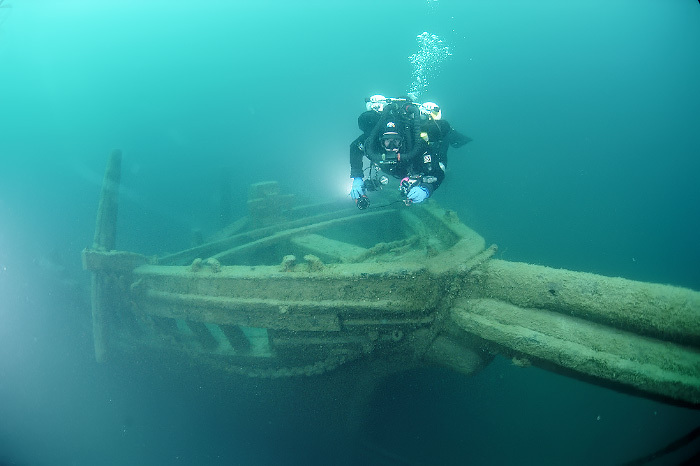 I had couple of really bad dives that combined strong current and poor vis and can see where her reputation of a challenging wreck came from. 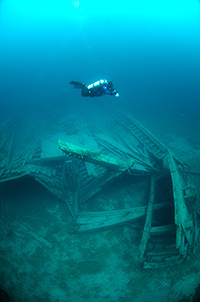 And I also had a few dives that were simply amazing - no current at all and great visibility - see 2013 pictures below.